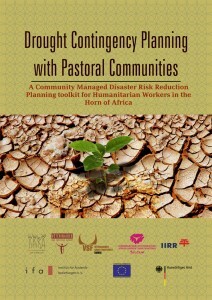 Drought Contingency Planning with Pastoral Communities. 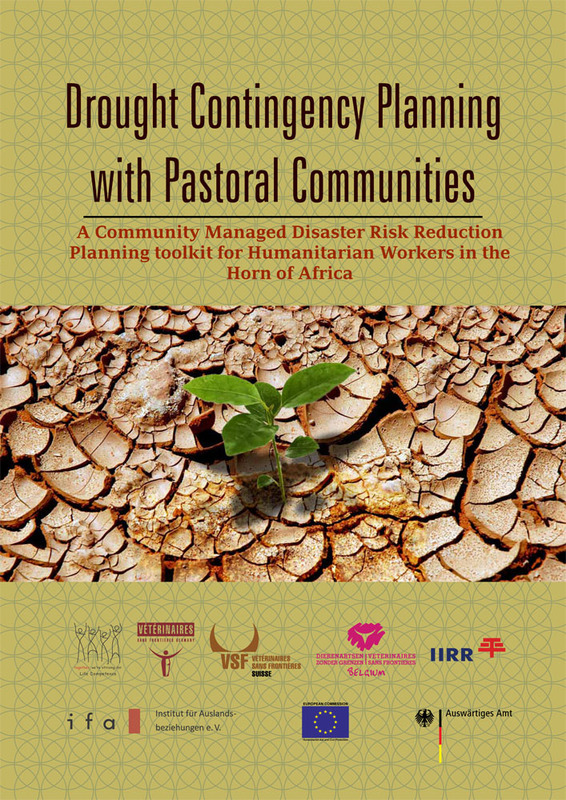 A Community Managed Disaster Risk Reduction Planning toolkit for Humanitarian Workers in the Horn of Africa. Natural and human-made disasters have been experienced throughout human history. In the last three decades both the frequency of their occurrence and the losses associated with them has increased. The incidence and magnitude of disasters today is widely recognised as posing a serious threat to the survival, dignity and livelihoods of countless individuals, particularly the poor. Hard-won development gains are also under threat, especially in the least developed countries (LDCs). The awareness about the negative impact of climate change is generally growing in the region. Many people, especially those living in arid and semi arid areas, have already witnessed the change in the climate and its consequences on their lives, livelihood and the environment. Community Managed Disaster Risk Reduction (CMDRR) and Climate Change Adaptation (CCA) share common goals of reducing vulnerability of communities and achieving sustainable development. CMDRR is an essential part of adaptation – it is the first line of defense against climate change impacts, such as increased flooding or recurring droughts. It is from this background that joint partnership between IIRR and the VSF Consortium (VSF-Germany, Suisse, and Belgium) embarked on a journey to facilitate contingency planning process, through the CMDRR pathway. Besides the customized CMDRR trainings conducted in the three countries, emphasis is laid on contingency plans as one of the outputs of the Participatory Disaster Risk Assessments (PDRA). Trained teams in Kenya, Uganda, and Ethiopia later facilitated communities to carry out PDRAs and develop preparedness and mitigation plans. In Kenya, Bisan Biliqo and Dadachbula communities were targeted; in Uganda Lokoreto and Nawoikorot parishes of Napak district, and Loyaraboth, Tapac Musupo and Kakingoi communities in Moroto District were targeted whilst in Ethiopia, Besheda, Minogelti and Mirsha-kuluma kebeles of Hamer Woreda and Nayikaya, Lokoro, and Ocholoch Kebeles of Dassanach Woreda were targeted. Risk analysis was carried out in the communities, and most-at-risk groups were identified and risk reduction measures planned through preparedness and mitigation plans. Contingency plans generated at the community level are expected to form the basis for district/regional contingency plans. Contingency plan validation workshops were later conducted bringing on board all stakeholders, including the local communities’ representatives to review, refine, and validate the community contingency plans. This manual is thus the culmination of the participatory process that led to the production of refined community contingency plans.